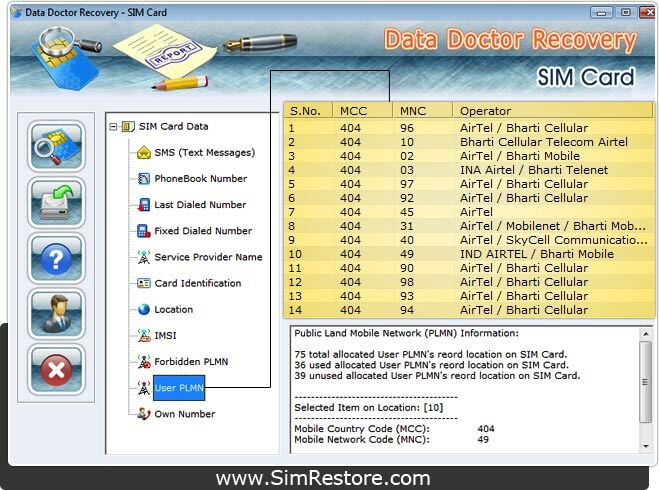 To use Data Doctor Recovery Sim Card Software first connect your sim card with PC. Learn more about connection process. 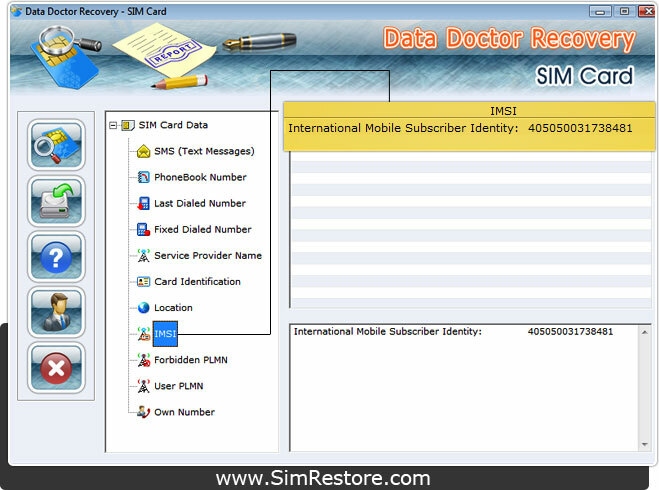 Click on “IMSI” in left panel to recover International Mobile Subscriber Identity (IMSI) number as shown in the following screen. Click on the “Forbidden PLMN “ to view and recover Forbidden Public Land Mobile Networks as shown in the following screen. NOTE: - This list contains networks to which the mobile phone will not connect, even though they are reachable. 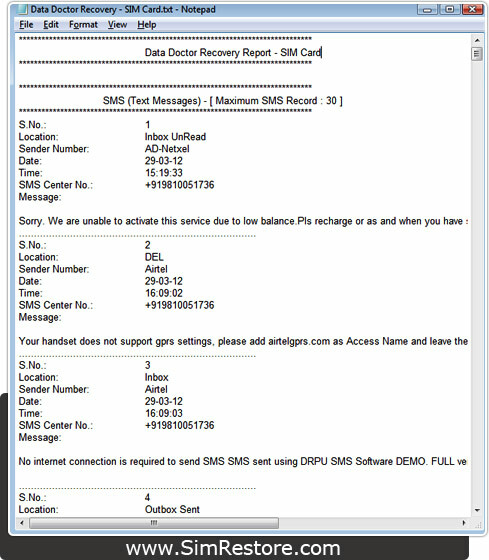 Click on the “User PLMN “ to view and recover User defined Public Land Mobile Networks as shown in the following screen. NOTE: - This list contains networks to which the mobile phone will connect if they are reachable. 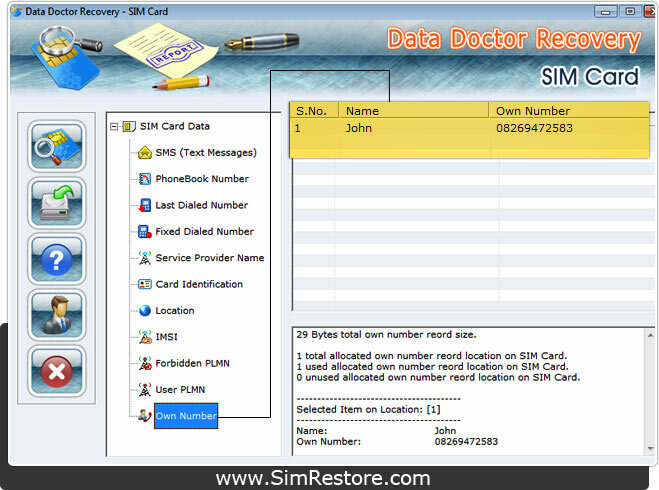 Click on the “Own Number“ to view and recover Own Number as shown in the following screen. 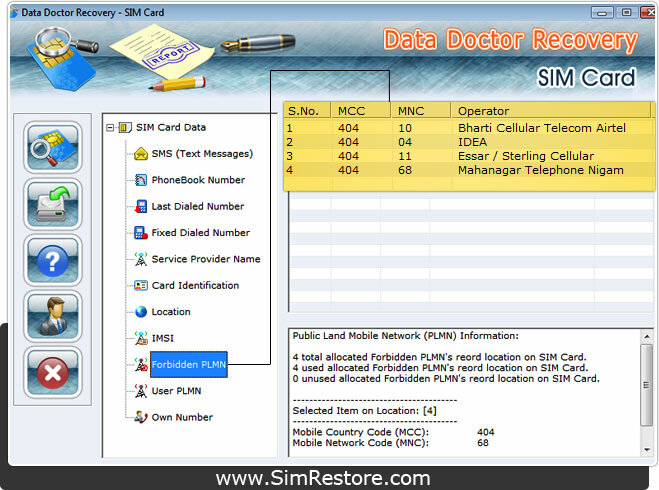 Click on "Save Recovery" button to save recovered data in .txt file format and view as shown in the figure.